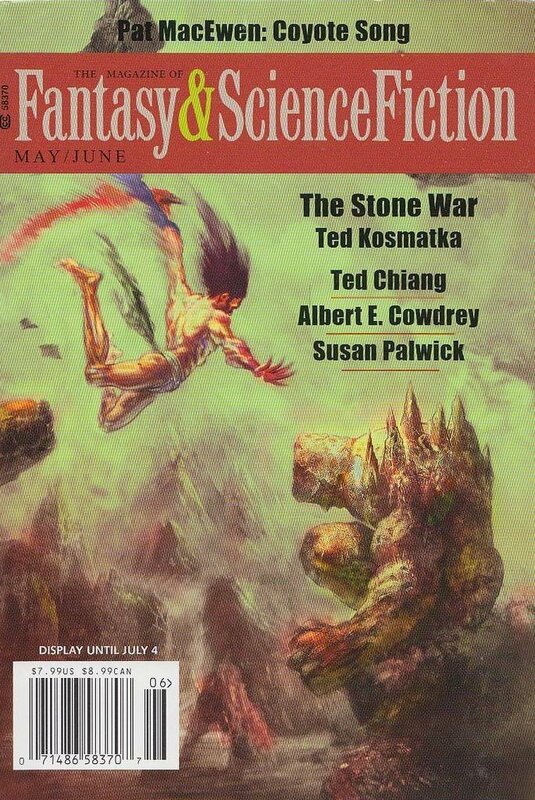 "Ash," by Susan Palwick, appeared in the May/June 2016 issue of The Magazine of Fantasy & Science Fiction, published May 3, 2016, by Spilogale Inc. Pro: Penny's experience will resonate with anyone who has tried to downsize. Con: The plot is very thin. I enjoyed this one. Most of what it does is a dark, wondrous progression - it's entirely unexpected at first, twists at the second iteration, and brings it home for the climax. Great effect with very little setup. Actually, it occurs to me that this is really a horror story except with 99% of the horror taken out of it. It's the same plot as "The Monkey's Paw," except with zero consequences.